Happy Tuesday!!! 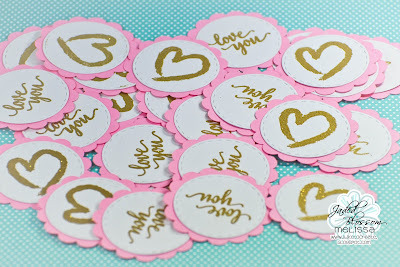 It's Melissa from M Miranda Creations and today I have some fun cupcake toppers to share! 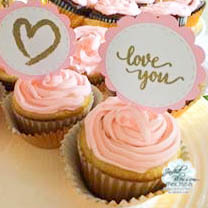 These cupcake toppers were made for the wedding shower of a young man that has been one of my favorite people since he was about 5 years old. When I was asked to make them, I knew I would have something in my Jaded Blossom stash that would be perfect! My friend let me know that the wedding colors are gold and pink so this is what I came up with. 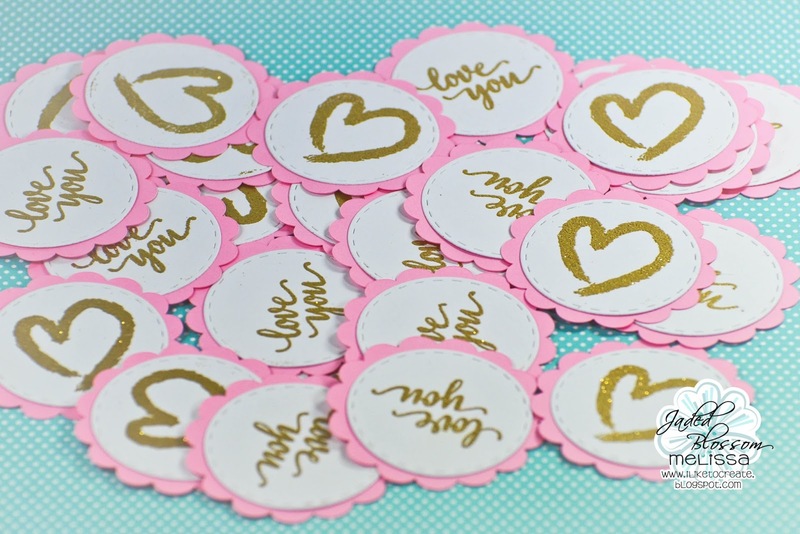 I used the Stitched Circle Dies and embossed on the circles either a heart from Heart Splatters or the "love you" sentiment from Cupid Airlines using gold Zing embossing powder. The scallop circle is a freebie from SVG Cuts. Below is a picture I was able to snap at the shower with my phone. Not the best picture, but still shows how cute they are! Thanks for dropping in today!!! Great decorations for the cupcakes! These are so perfect for a shower! !